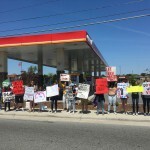 From April 9-20, we officially launched a boycott of Reynolds American Inc. (now owned by British American Tobacco)’s VUSE e-cigarette brand with over 40 demonstrations outside of Kangaroo, Circle K, 7 Eleven, and Wawa convenience stores in New York, San Francisco, Orlando, Raleigh, Durham, Toledo, and other major US cities. 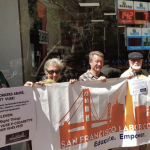 The boycott was dedicated to FLOC organizer, Santiago Rafael Cruz, who was assassinated on April 9, 2007 in our office in Mexico to try to stop the union from aiding farm laborers and ending corruption in the H2A guest worker program. 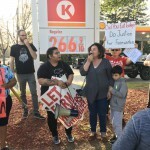 The AFL-CIO, International Union of Food and Allied Workers (IUF), and the National Farmworker Ministry have already formally endorsed the boycott. 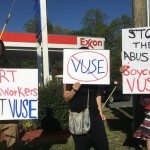 Contact us at boycottvuse@floc.com if you’re interested in getting involved in the VUSE boycott! 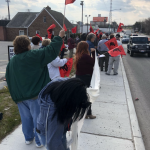 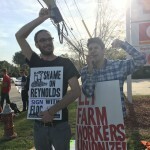 Despite widespread national and international support for tobacco farmworkers’ demands, Reynolds still hasn’t agreed to sign an agreement with FLOC to guarantee farmworkers the right to unionize and negotiate better working conditions. 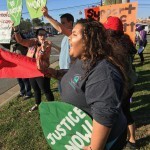 “As farmworkers, we work hard under the sun and we give our best effort. 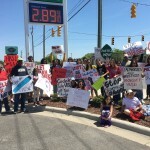 I have seen how tobacco companies fill their pockets with money and how they themselves push for farmworkers to have even lower salaries. 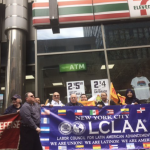 We are fighting for better wages and for decent and dignified housing, and that’s why I’m calling for support of this boycott.” says Jose Camper Lopez, a farmworker and FLOC member. 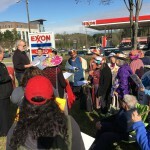 Similar demonstrations will be replicated and spread to other cities in the US. 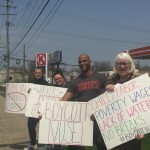 Contact us at boycottvuse@floc.com if you’re interested in getting involved in the VUSE boycott! 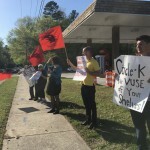 Photos from #BoycottVUSE demonstrations and pickets. 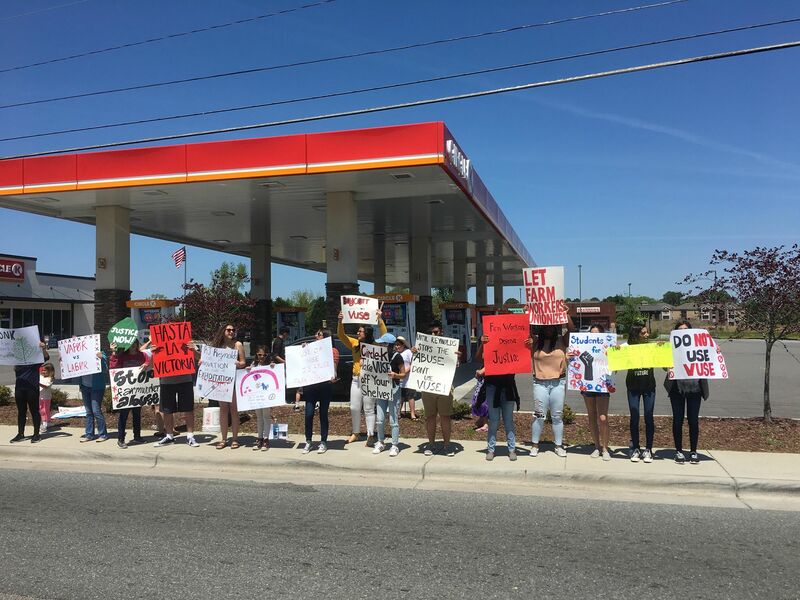 For more photos or videos of actions, follow us on twitter @SupportFLOC and Facebook!